My name is Danny Ellis, and I am the CEO of co-founder of SkySpecs. We are a drone technology company based in Ann Arbor, Michigan. We are developing autonomous drones for infrastructure inspections. My path to co-found SkySpecs with my partner, Tom Brady, started in 2007 when we met during an internship while we were completing our BSE degrees in Aerospace Engineering at University of Michigan. Three years later, we founded SkySpecs while completing our MSE degrees in Aerospace Engineering. I’ve been interested in flying craft ever since I was a kid going to airshows. I became interested in UAVs as an undergrad, over a decade ago. Back then, very few people were working on UAVS (nobody called them drones) and multi-rotors had just started to hit the commercial market, but they were very expensive. Heading into my senior year, I decided I wanted to develop a custom multirotor drone that could fly by itself. After searching for a group of people interested in the same thing and coming up empty-handed, Tom and I decided to start our own at the university – and so the Michigan Autonomous Aerial Vehicles (MAAV) group was born. As it turned out, I was far from alone in my interests. The group is still active today. Photography, aerial imagery, agricultural monitoring – I think that these will be the primary uses of UASs in the near-term. Legislation is probably no closer to allowing autonomous drone flight through populated areas than they were three years ago. In general, people are still anxious about the idea of a robot doing things that humans have only done until now. It’s a process and like all new technology, adoption takes time. 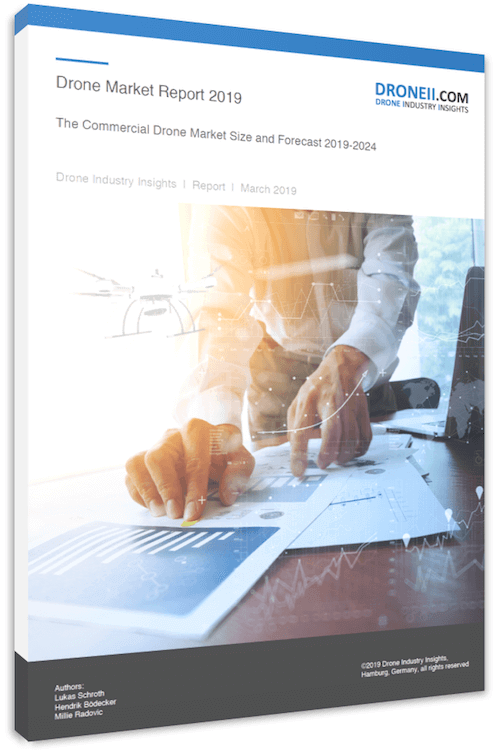 I’m not alone when I speculate that the biggest challenge we face in the autonomous UAV and UAV tech space is regulation – particularly in the U.S. Today there is no certain end in sight at which point the FAA will no longer require pilots, which is an extremely limiting factor when it comes to commercial use of small UAVs. Many companies don’t have the need or desire to hire pilots when they already have people in the field capable of operating the UAV. The other challenge we face is battery technology. At SkySpecs we have adapted our technology and business plan to work with that limitation, but I’d still be pretty excited if flight times were much longer. Some very cool solutions I’ve seen recently are in the hybrid engine approach, but we are still waiting to get our hands on some prototypes. I’d be hesitant to recommend starting a company where the product you sell is basically illegal. It’s a challenge for many reasons: hardware is expensive; the sales cycle with B2B customers is long; staying loyal to your mission is sometimes difficult when things change every day. But it’s a challenge that I’ve taken on with my co-founder, Tom, with excitement and enthusiasm. I believe in what we’re doing and I know that it will make our customers more efficient and will save them time and money. We work hard every single day because fortunately we have a team of incredibly smart aerospace, computer science, and robotics engineers, marketers and business development people all of whom believe in the technology we’re creating for drones to become fully autonomous. I envision a world in which drones are doing jobs that are currently difficult, dangerous and time consuming and ultimately, enabling cutting-edge progress.